February 8 – The U.S. Soccer Federation (USSF) has signed Deloitte as its Official Professional Services Provider and Foundational Sponsor of SheBelieves. The deal begins with the 2019 season will run until the end of 2021. 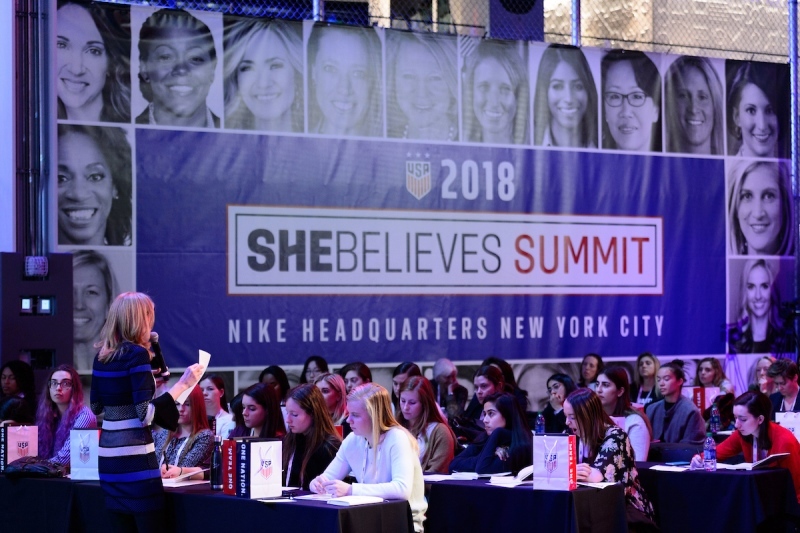 Deloitte will be the title sponsor of the second annual U.S. Soccer SheBelieves Summit, which will take place on Saturday, March 9 at Nike’s Headquarters in New York City. “Deloitte is dedicated to fostering an inclusive culture in the workplace and more broadly in communities, and is thrilled to see SheBelieves move that mission forward. We look forward to supporting not only the upcoming SheBelieves Cup, but also the SheBelieves Summit—helping to elevate the conversation around female leadership and empowerment.” said Cathy Engelbert, chief executive officer of Deloitte. SheBelieves was created by the U.S. Soccer and Women’s National Team players to inspire and encourage girls and women of all ages to accomplish their goals and dreams. The campaign was originally launched in the run-up to the 2015 FIFA Women’s World Cup but has since evolved into a powerful message of empowerment across the US.